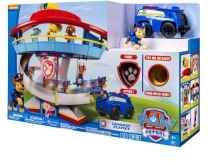 The Paw Patrol Lookout Playset is one of the must have toys for Christmas 2015. We constantly track for stock which ensures you will be the first to know when availability is found. With the Nickelodeon Paw Patrol Lookout Playset keep an eye out for danger! Let your child reinact scences from the television show and exercide their imagination.Includes Chase action figure and his police vehicle. Requires 3 x button cell batteries (included) and suitable for ages 3 plus. 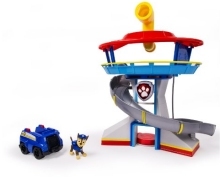 We constantly check for Paw Patrol Lookout Playset stock, so you don't have to. Receive email alerts when Paw Patrol Lookout Playset online stock is found.